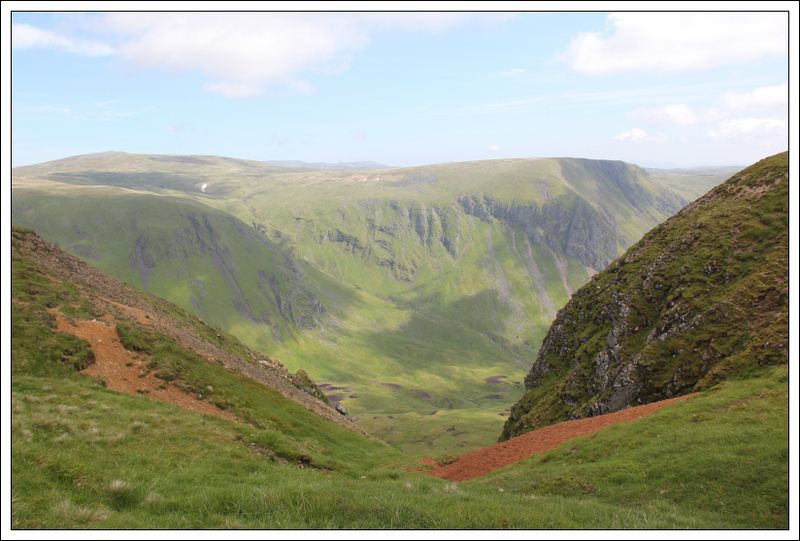 On Friday, I set off to my Mountaineering Club’s weekend meet in Glen Shee. 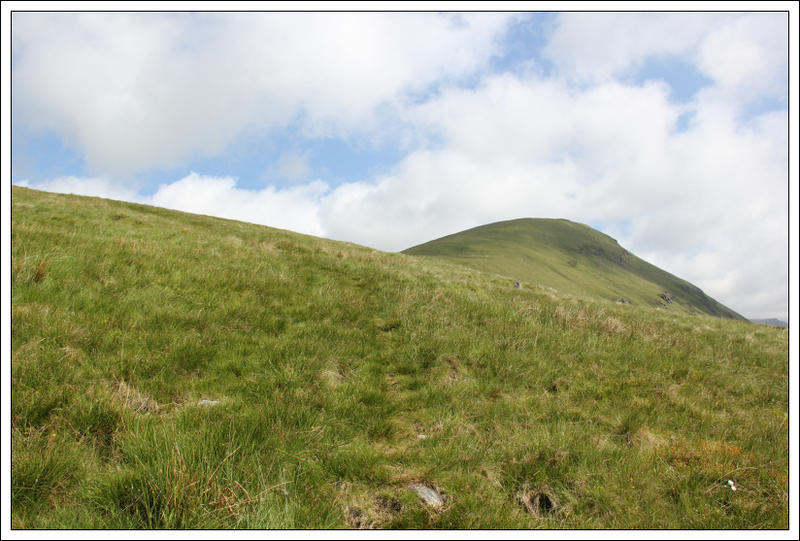 Having ascended most of the hills in this area previously, I initially struggled to come up with a plan. 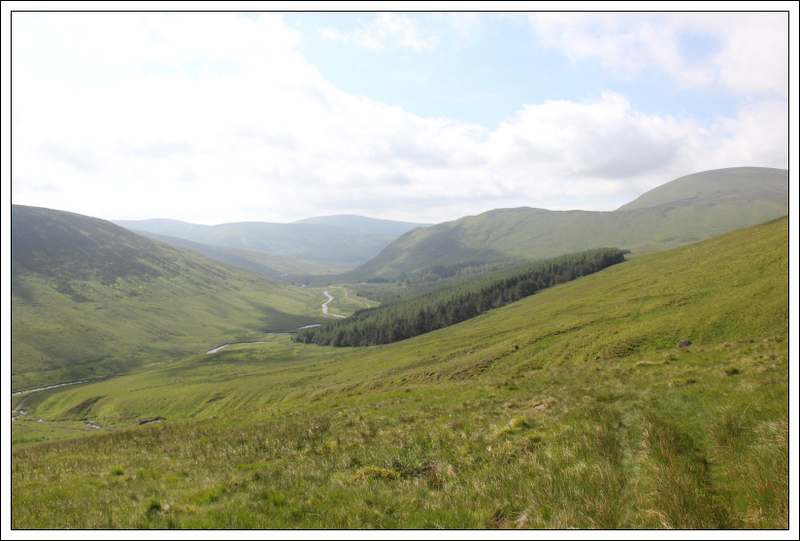 On Saturday morning, I got Landranger 43 out on the breakfast table and whilst pondering over the map found an interesting-looking glen that I had not been along previously. 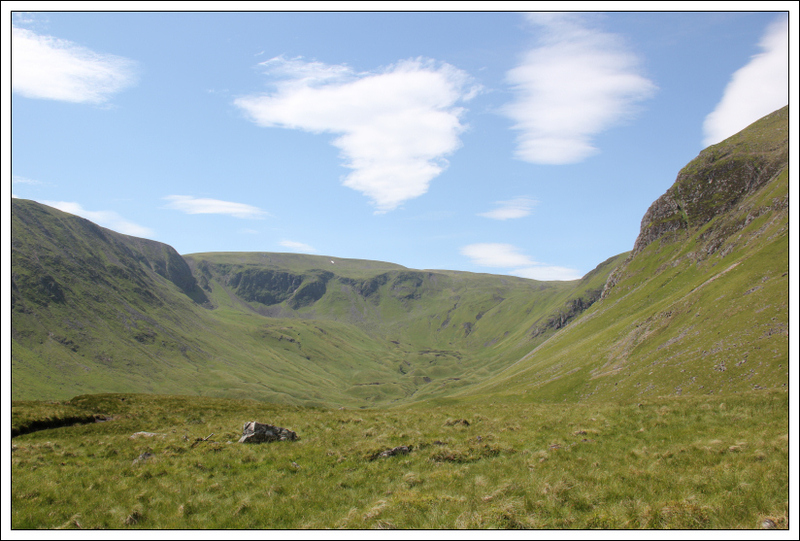 A few kilometres along this glen, it looked possible to undertake a horseshoe taking in Monega Hill, Little Glas Maol, Glas Maol, Cairn of Claise and Druim Mor – effectively a circuit of the hills above Caenlochan Glen. I decided to give this route a go. 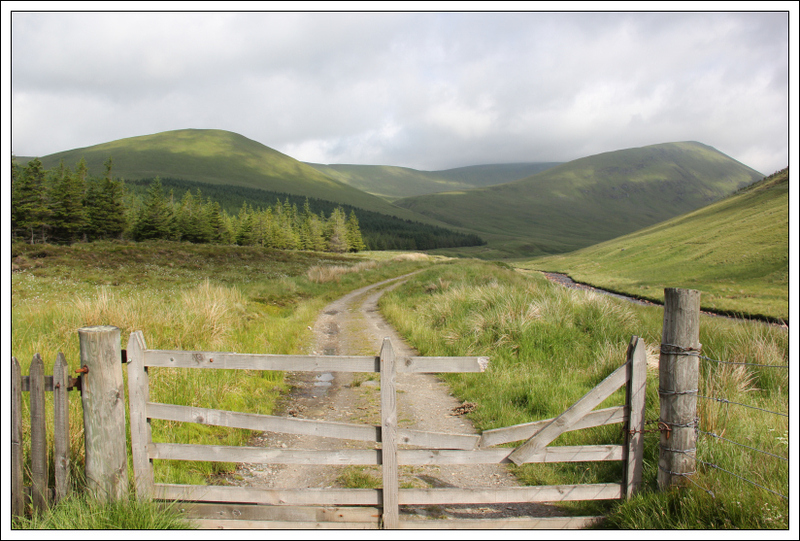 I drove to just beyond Auchavan, in Glen Isla, and parked beside the bridge between Auchavan and Dalhally. 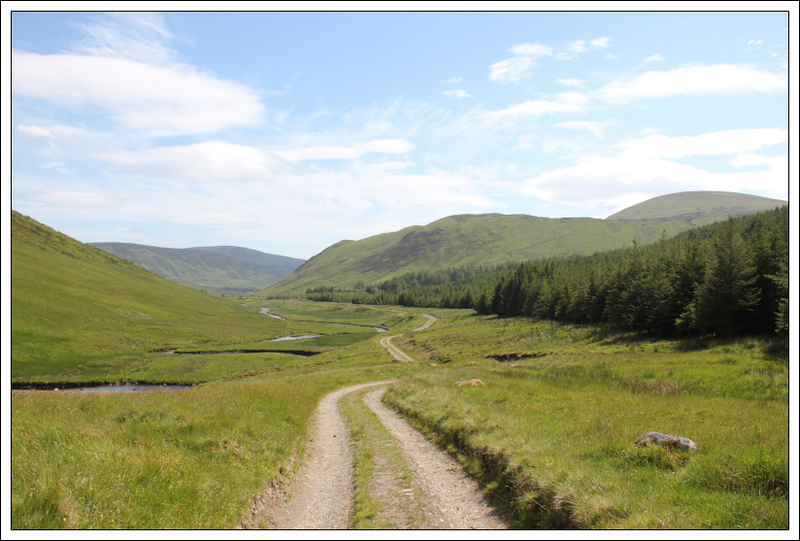 The initial few hundred metres, starting from the “Public footpath by Monega Hill to Braemar” Right of Way sign, was fairly rough underfoot. 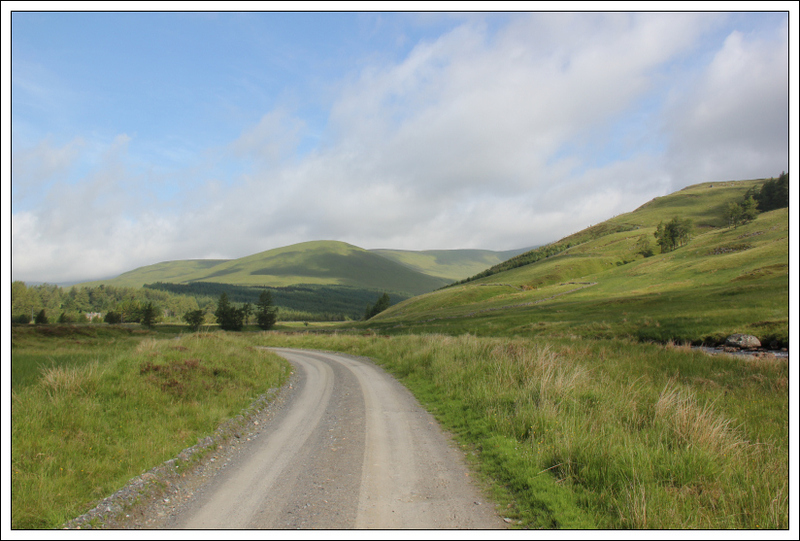 However, it wasn’t long before I was up and onto the excellent-quality track which runs alongside the River Isla leading to Caenlochan Glen and Canness Glen. 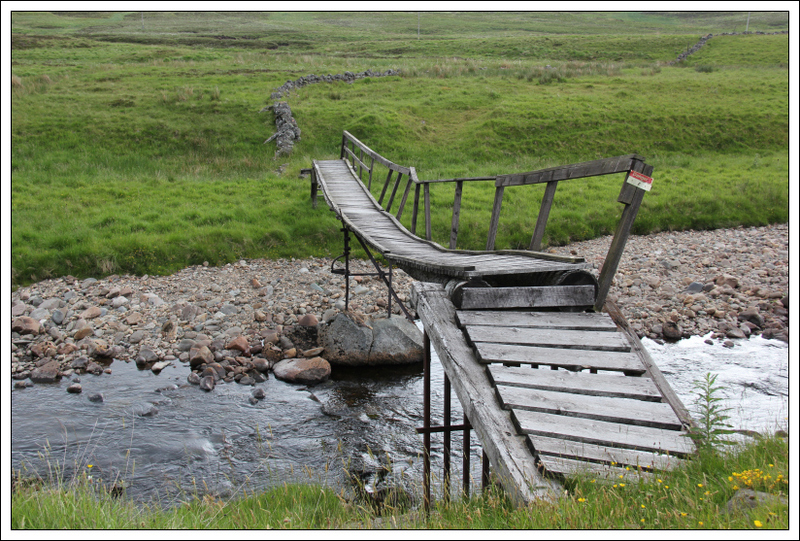 Thankfully there was no need to cross the dodgy bridge in the next photo . 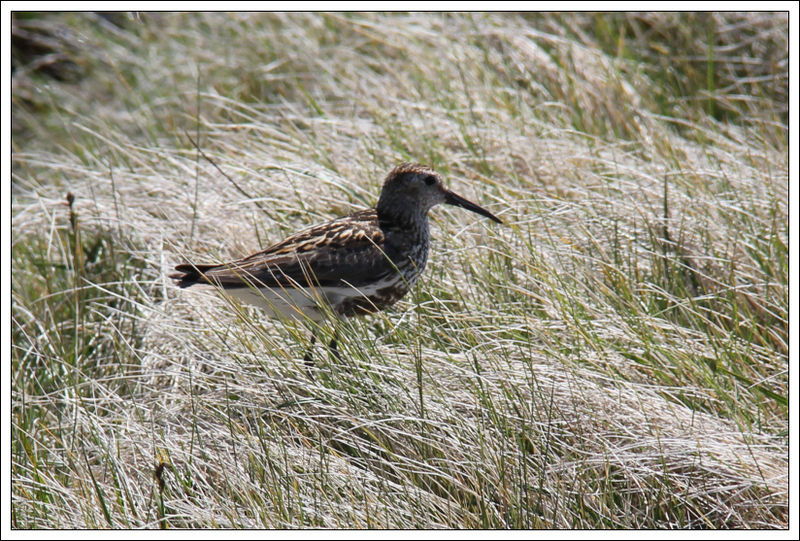 As I walked alongside the River Isla, I saw numerous birds including Stonechat, Meadow Pipit and several little brown ones that were beyond my ID skills. 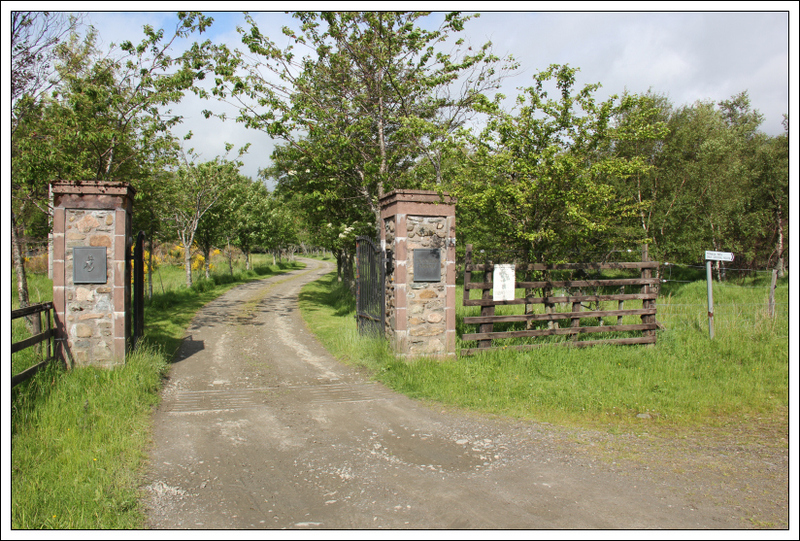 A short distance beyond the entrance to Tulchan lodge, I stepped over the broken section of gate to access the track beyond. 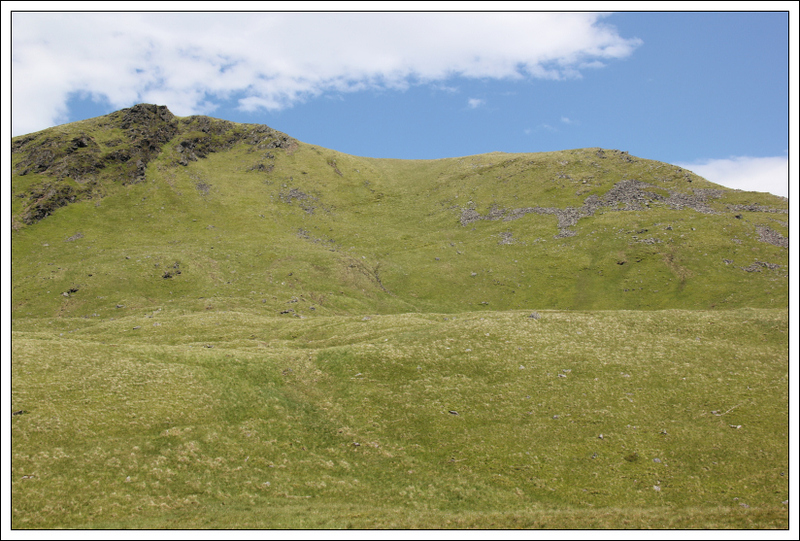 The ridge ascending Monega Hill looked fairly pleasant – a nice, gentle grassy slope. On reaching the sign in the next photo, I took to the hillside. The next couple of hundred metres was fairly rough underfoot. I would recommend carrying on along the main track a short distance further to pick up a much better track leading up the hill. Once onto the grassy track ascending Monega Hill, I ascended at a nice gentle pace - I was in no hurry . 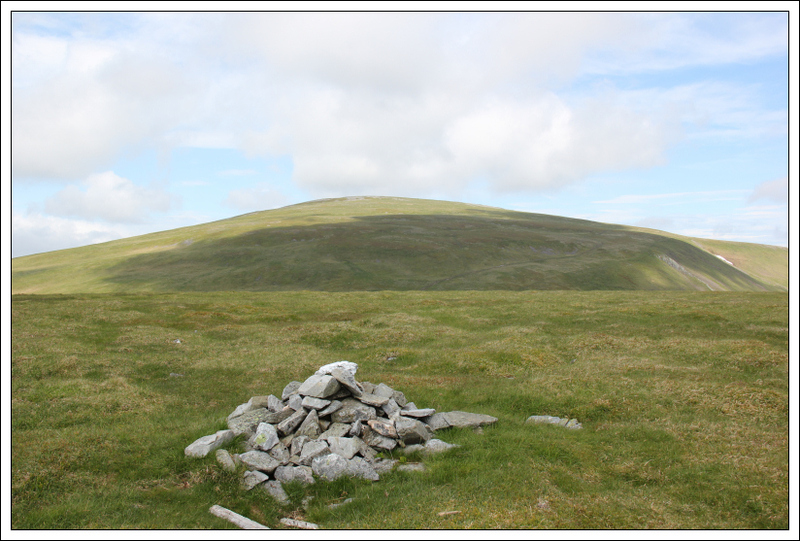 After passing several cairns during the ascent, I eventually reached the summit of Monega Hill. From the summit of Monega Hill, I could see across to the other side of my horseshoe. 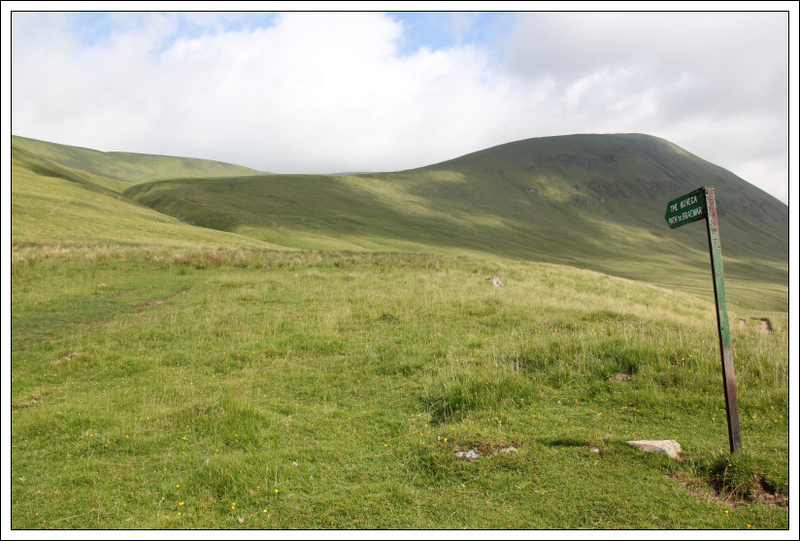 The next section of walk, from Monega Hill to Little Glas Maol, only took fifteen minutes. 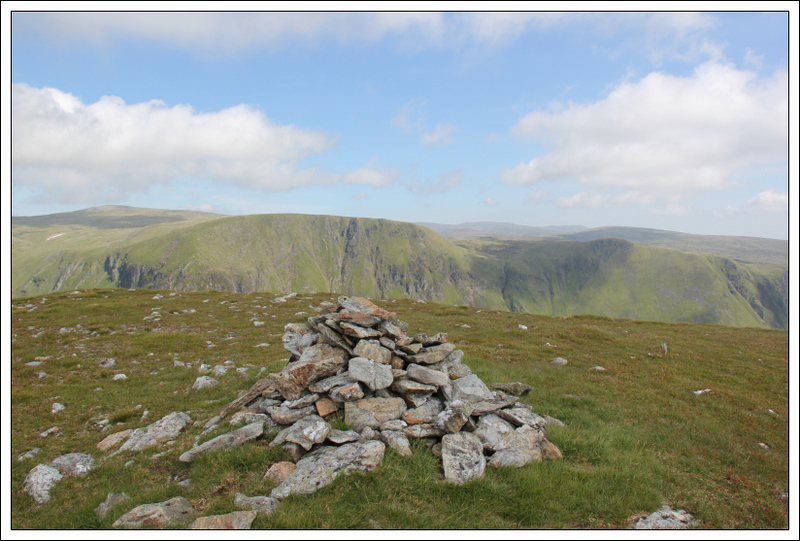 Little Glas Maol is a Munro Top. 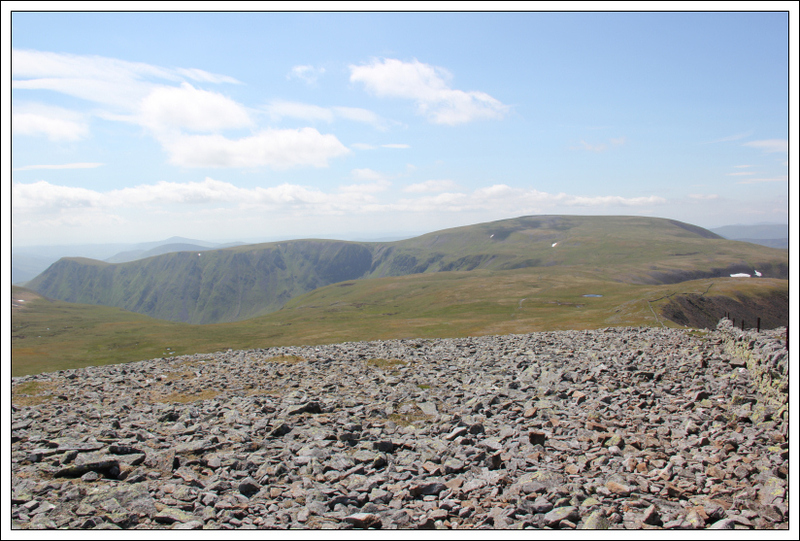 Despite having ascended Glas Maol six times previously, all from the A93, this was my first ascent of Little Glas Maol. 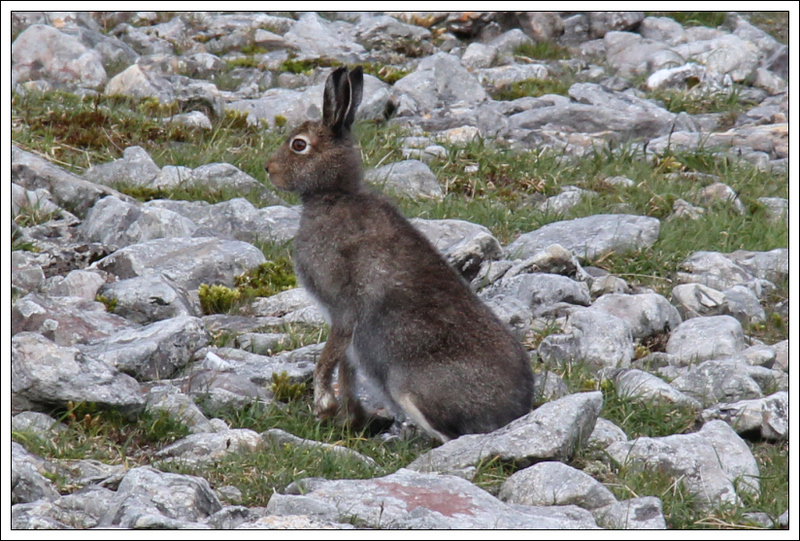 On reaching the col between Little Glas Maol and Glas Maol, I stopped to take some photos of a Mountain Hare that seemed content to just sit and watch me. On looking back, I was surprised to see a Land Rover near the edge of the cliff. I did hear rifle shots earlier that morning; the start of stalking season . 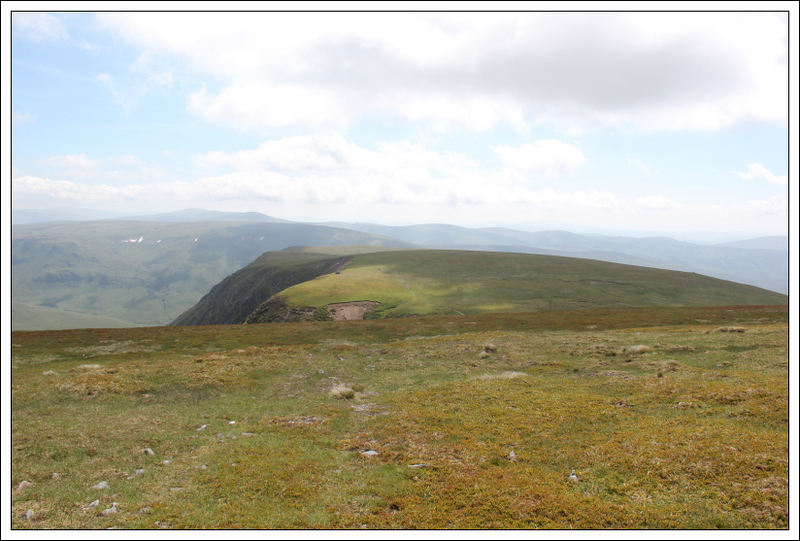 On reaching the summit of Glas Maol, I spent at least fifteen minutes at the summit having a nice seat and a sandwich. 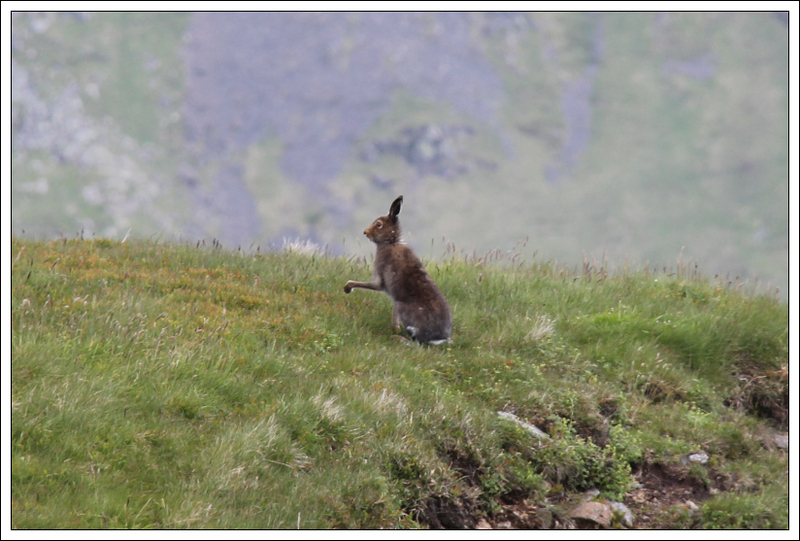 On descending from Glas Maol, I passed a group of circa twelve mountain hares all of which scarpered except for one which stayed still long enough to let me take a photo. 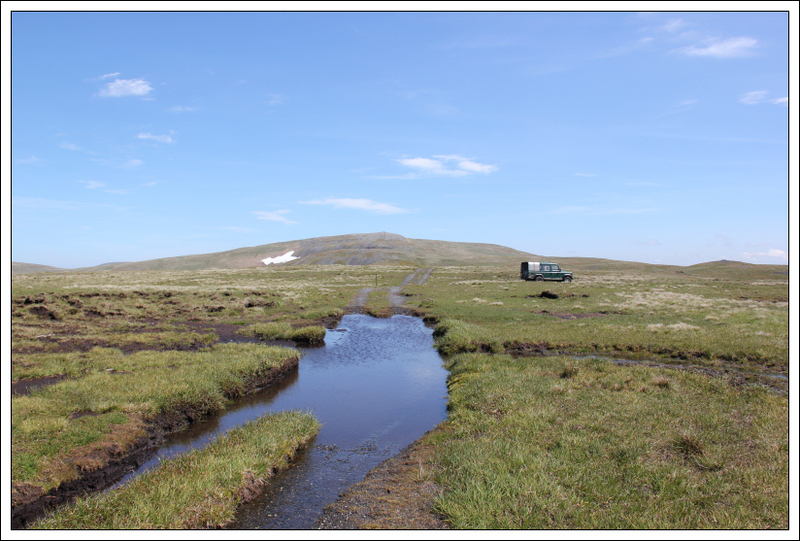 Between Glas Maol and Cairn of Claise, I passed another Land Rover. 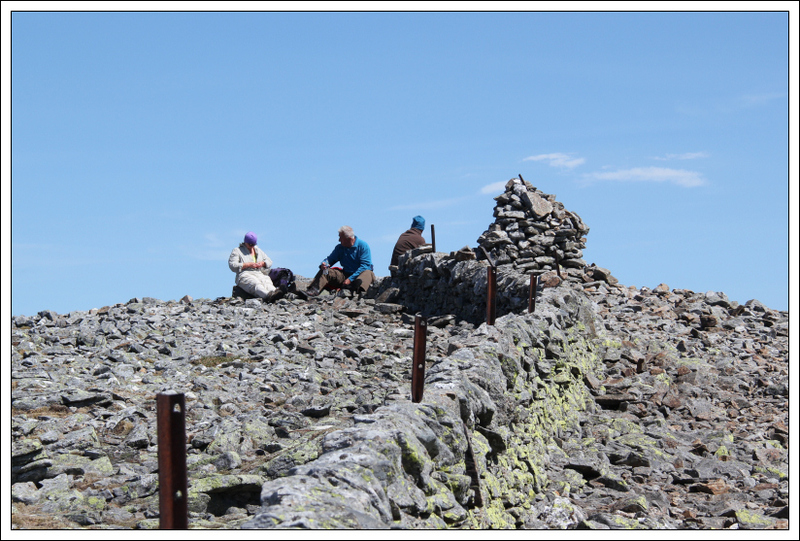 I stopped for a few minutes at the summit of Cairn of Claise where I had a brief chat with three others who were already sitting at the summit. 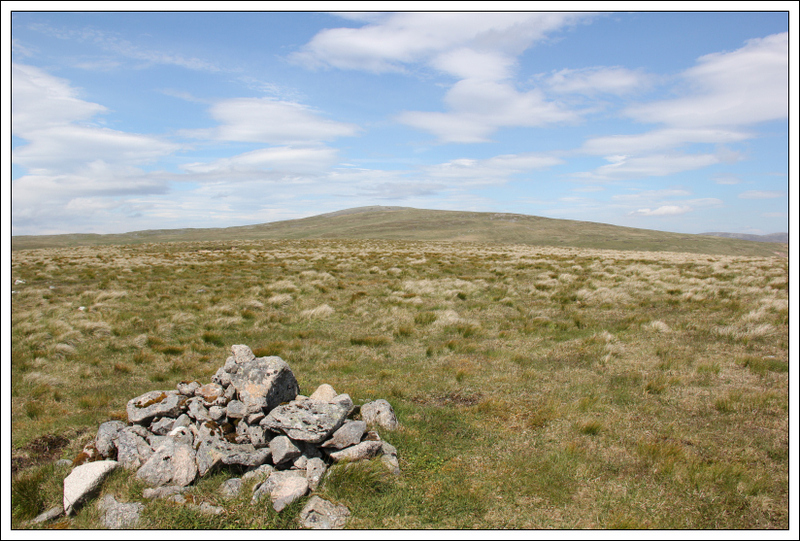 From the summit of Cairn of Claise I made my way across to Druim Mor. 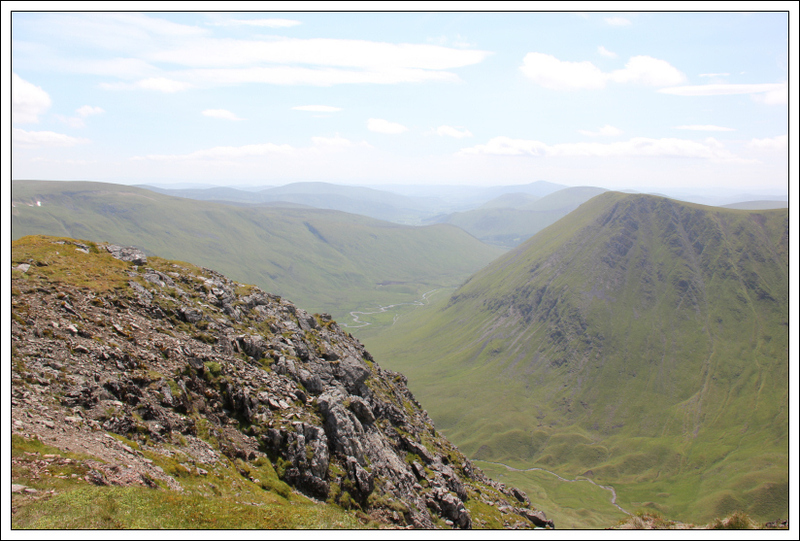 Druim Mor is a Munro Top. 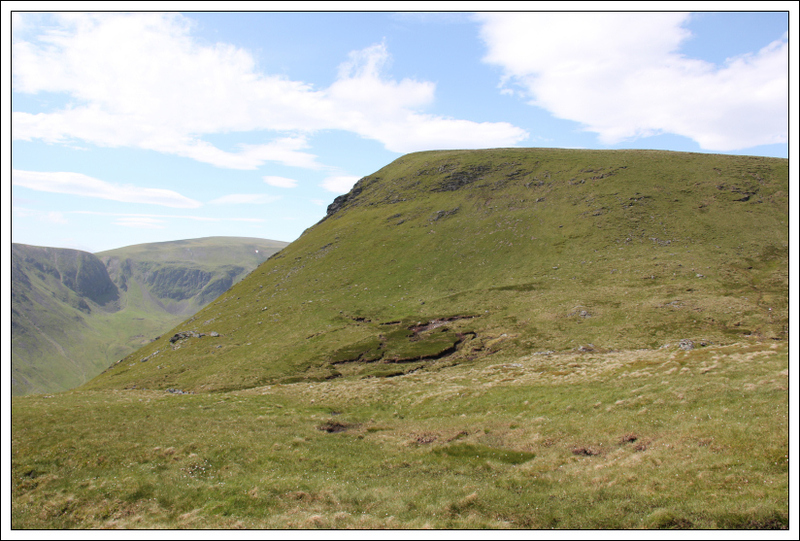 Despite having ascended Cairn of Claise five times previously, all from the A93, this was my first ascent of Druim Mor. 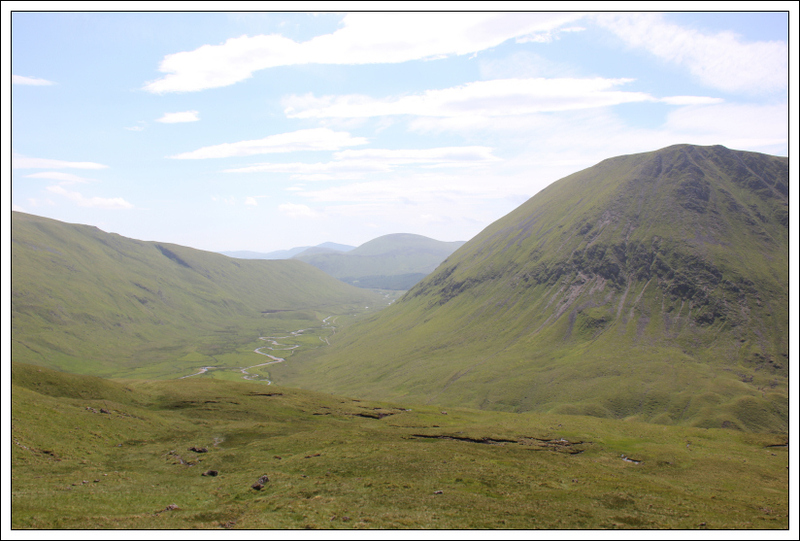 From Druim Mor, I made my way across to the start of a footpath marked on my map as “Caderg”. On the map it looked very steep. In reality it was also very steep! 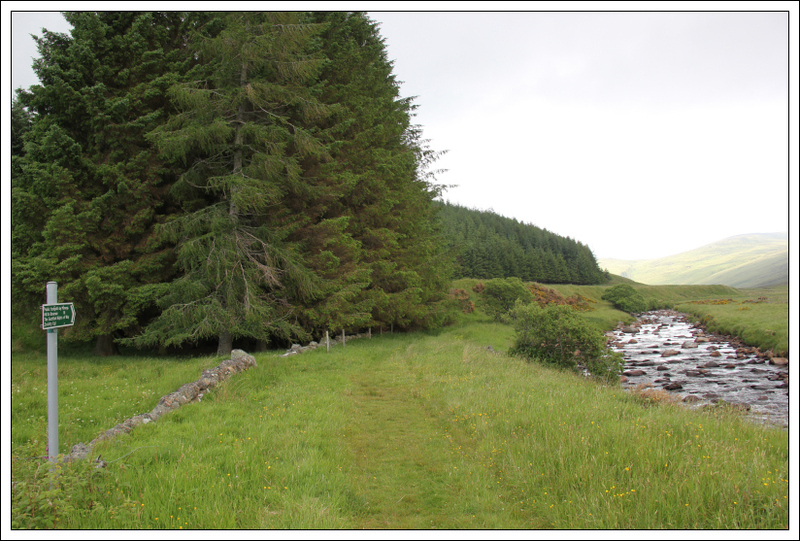 The path descending from Caderg is fairly indistinct in places. It does however make the descent a bit easier so worth finding the path. 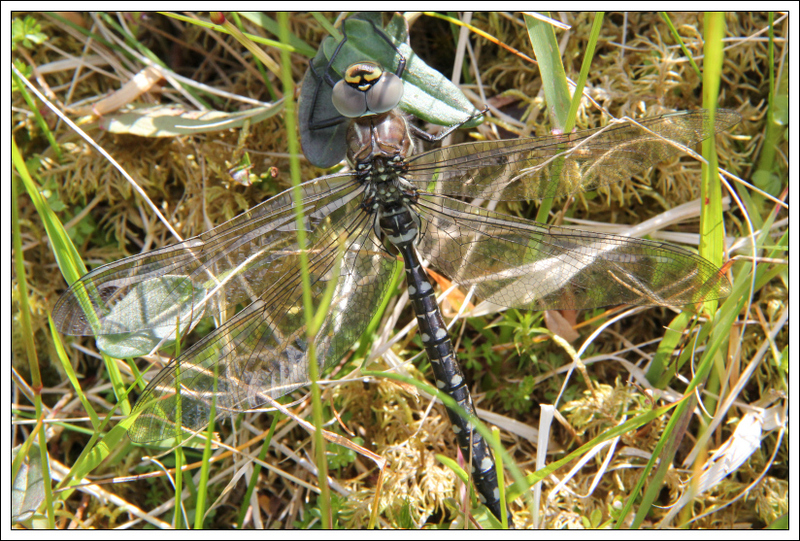 During the descent it was nice to come across my first dragonfly of the year. I love dragonflies and damselflies. 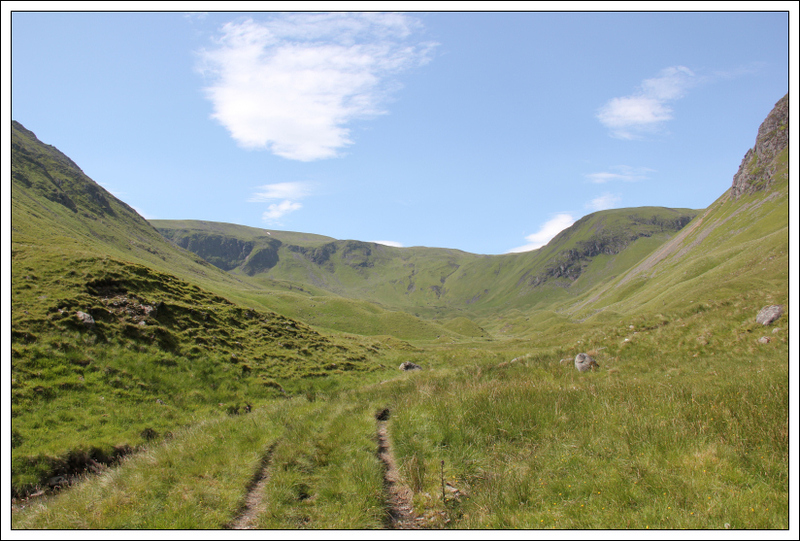 On reaching Caenlochan Glen, I knew I now had a long walk back out to Auchavan. It was now really sunny and warm. 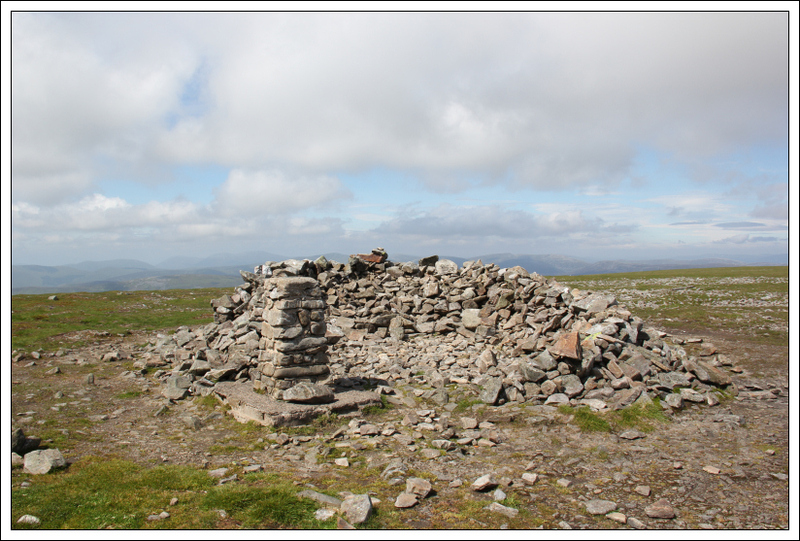 During the walk out, I had a quick stop at Bessie’s Cairn before continuing on and out to Auchavan. 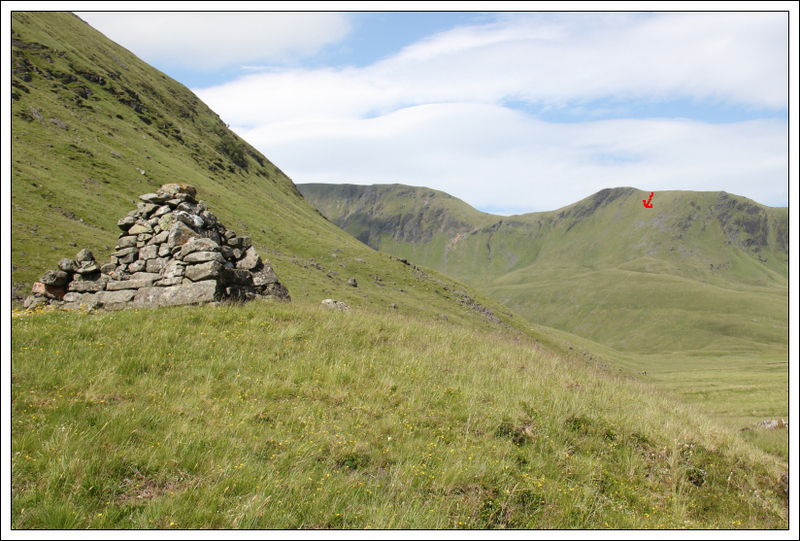 I have drawn an arrow on the photo showing the steep descent from Caderg. I really enjoyed this walk. 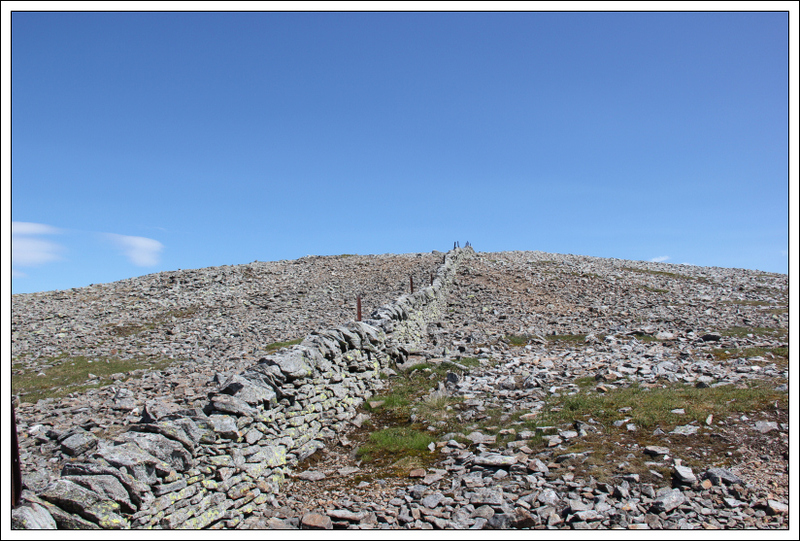 It is a MUCH nicer way to do Glas Maol and Cairn of Claise than the standard route from the A93. It is however a good bit longer.